Nice, short, lined skirt with frills. Wide elastic waist that sits nicely on the hips. 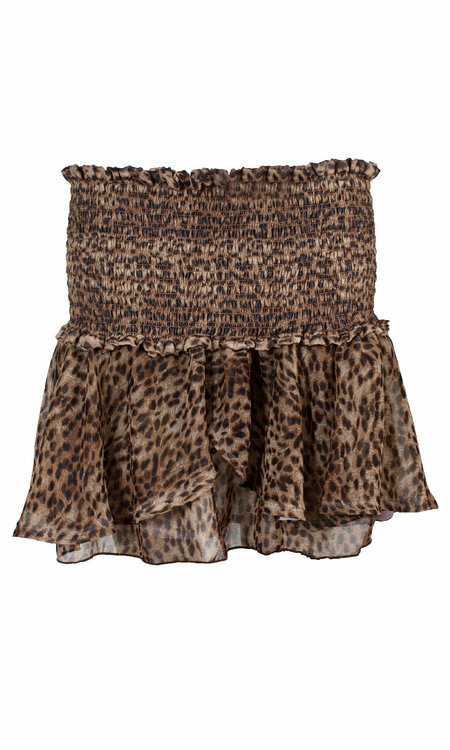 Available with animal print in brown and black and white.